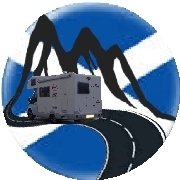 Motorhome Hire Scotland, travel in affordable comfort with unlimited mileage, 24hr breakdown, free parking, free starter pack including linen. Fixed rates; pricing made easy. Motorhome hire is self catering at its best wake up to a new view every morning of your holiday. Our vehicle is easy to drive with reversing camera, No branding and fully equipped inside, we have fitted a motion sensor alarm to give you peace of mind while you sleep. A warm welcome awaits you, it is important to us that you have a great holiday experience.